This unreleased track will be featured on our next album. The arrangement is based on two Bae Ho songs instrumental introductions. The songs are: "기타에 노래싣고 (Music in the Guitar)" and "생일없는 소년 (The Boy With No Birthday)". 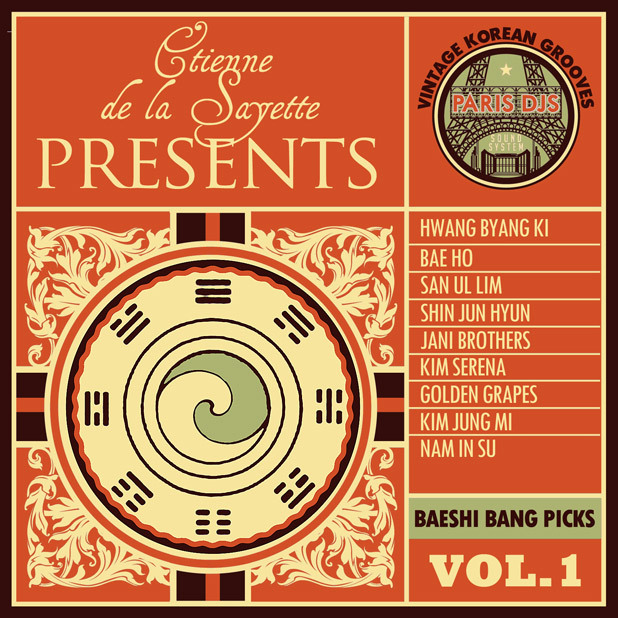 Paris DJ's label asked Etienne to propose a compilation of vintage k-pop. Here it is : (free dowload) - enjoy ! Baeshi Bang will play his first concert in Paris on October 2nd @ Studio de l'Ermitage, and will share the stage with CAMARAO ORKESTRA friends. The concert will feature Olivier Garouste (live videdo) Save the date ! !